One of the best parts of my job as an interior designer is that I get to meet talented people who create beautiful and bespoke products. Turns out, glass is neither a liquid nor a solid but an amorphous solid which is a state somewhere between the two. So I guess I was half right, Dave. Dave is a salt of the earth sort of guy with no airs and graces but a wealth of talent – though he’d never admit it. His company can add a touch of design class with their glass to any project. 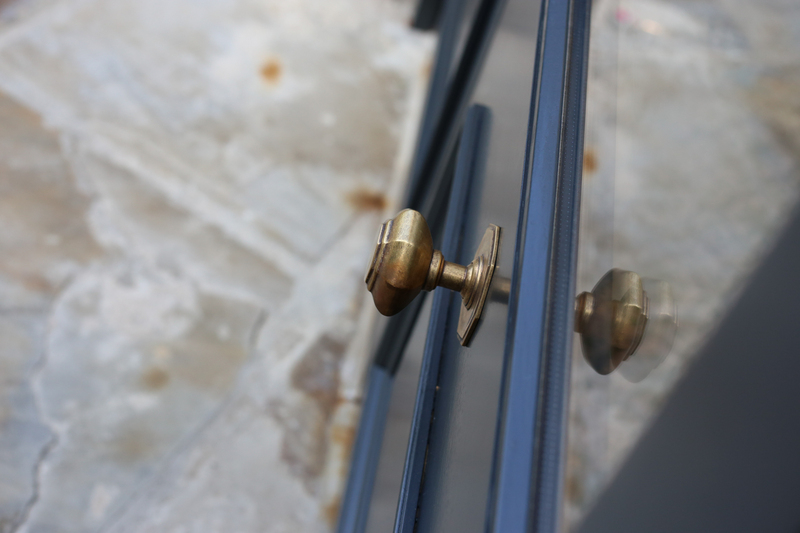 Here at Robinson King – being an interior design and joinery company – we often use glass in a range of applications and finishes within our designs. Whether for doors, windows, staircases or more elaborate designs – here is a glimpse of what we can do. Glass is often used to open up spaces, reflect and bounce light around a room. 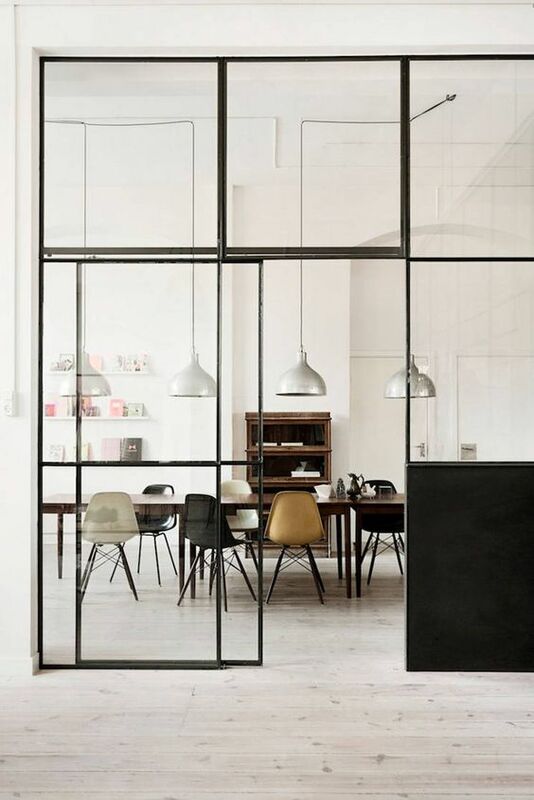 Steel framed glass panels – or Crittall style structures – are an extremely popular design feature, both in residential and commercial environments. Glass paired with metal gives an architectural edge and stylish aesthetic. Glass also gives a really nice contrast when sat within a natural oak wood frame. We specialise in green oak framed buildings, they are great at opening up spaces and the beautiful rustic timber with the clear glass panes make for a stunning structure. 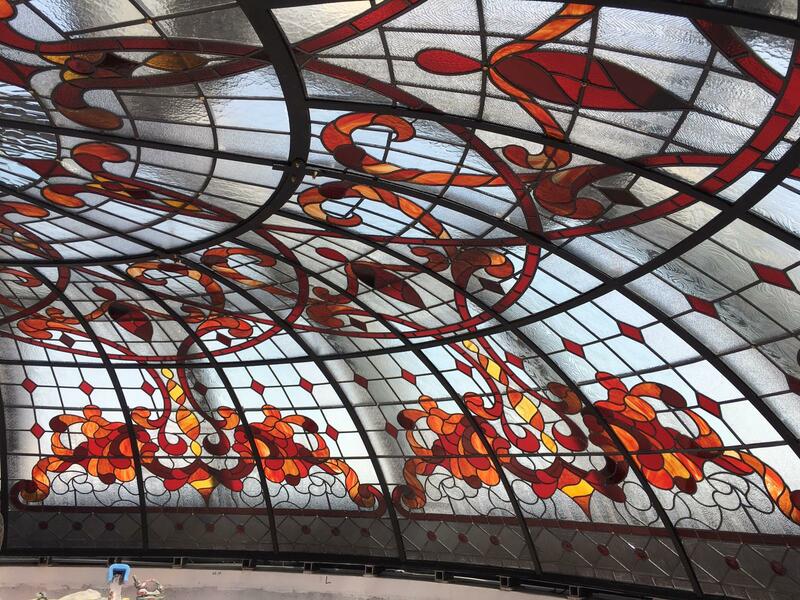 When I visited our glass supplier, Dave told me amongst his many stories, about his recent travels to Bahrain where they installed a huge glass ceiling dome in a palace for a sultan’s son. Then he showed me an amazing original William Morris stained glass window he (accidentally) bagged for a mere £75 and uses as wall art back lit by LED lighting. There are many applications in which coloured decorative glass can be used. 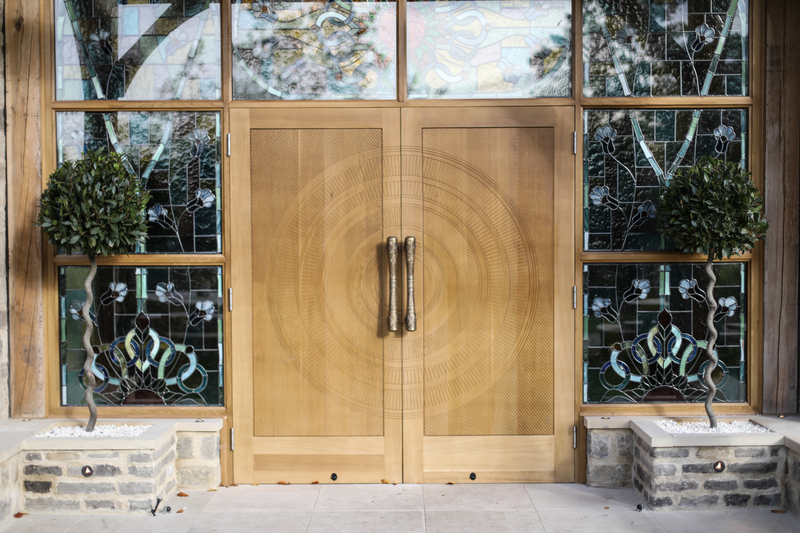 At Robinson King we recently used stained glass designs at a traditional church install, as well as at our more contemporary Manor House hotel project. 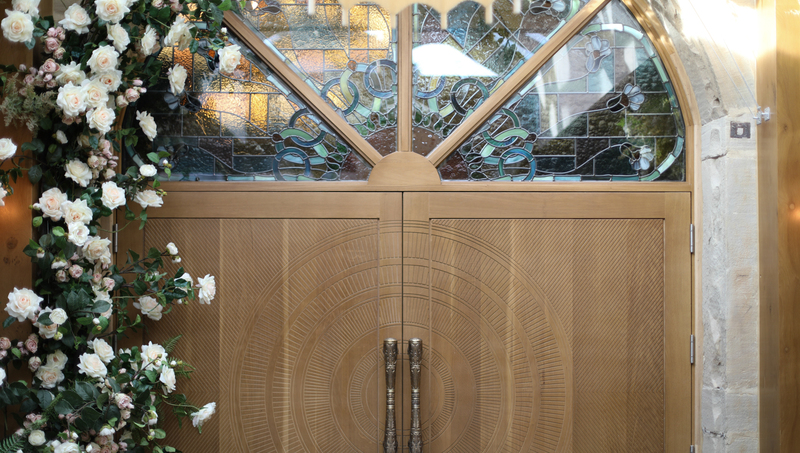 In addition, we used a beautiful stained-glass design in oversized statement oak doors and window panes, giving a timeless but highly decorative detail to the wedding venue entrance. 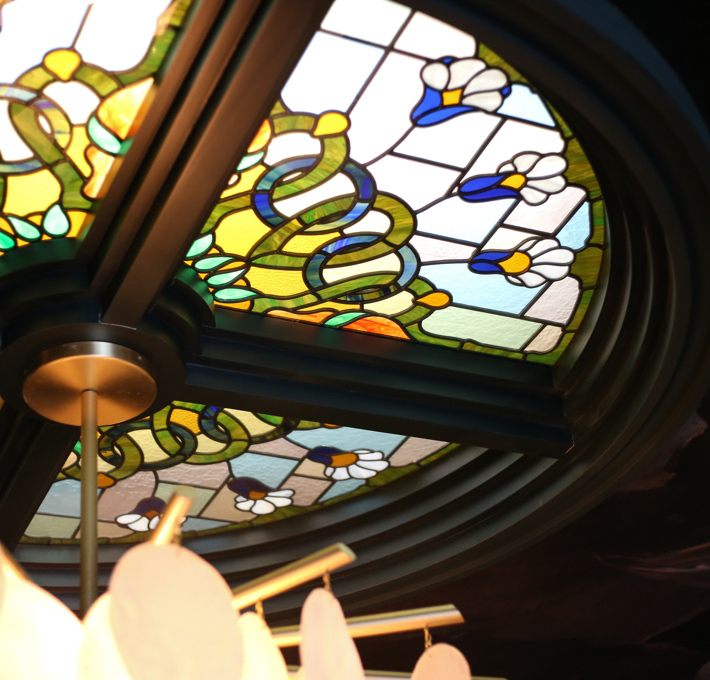 Using glass in ceiling domes and lanterns is a great way to add an eye-catching feature within a design. It works particularly well in hospitality environments, bars and restaurants as well as large entrance halls and properties with high ceilings. It gives the often neglected ‘fifth wall’ a new design dimension and prompts the occupier to look up. When combined with clever lighting it can give the effect of another window, flooding the space with light which dances through the translucent pieces of glass. Mirror is also a great glass product to give a timeless aesthetic. It bounces light around and gives the illusion of space in small areas. 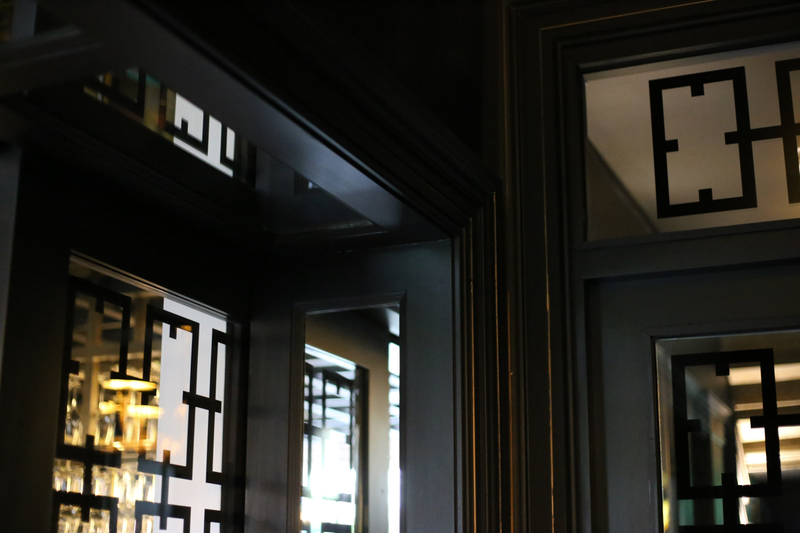 Our designer specified eglomise – or antiqued – mirror for a full height wall in our recent bar project. The mottled finish gives a more subtle aesthetic but still adds glamour and opulence to the space. Eglomise, antiqued and bronze mirror is super popular at the moment, giving a stylish, vintage aesthetic. It can be a great addition to bespoke wardrobes or kitchens. Imperfect hand blown glass is still uber fashionable. It aids a more relaxed look, works well with a Scandi theme and can be used with pretty pastel or muted earthy tones. We recently specified some smashing (sorry!) hand-blown glass lamps from British maker Rothschild and Bickers. 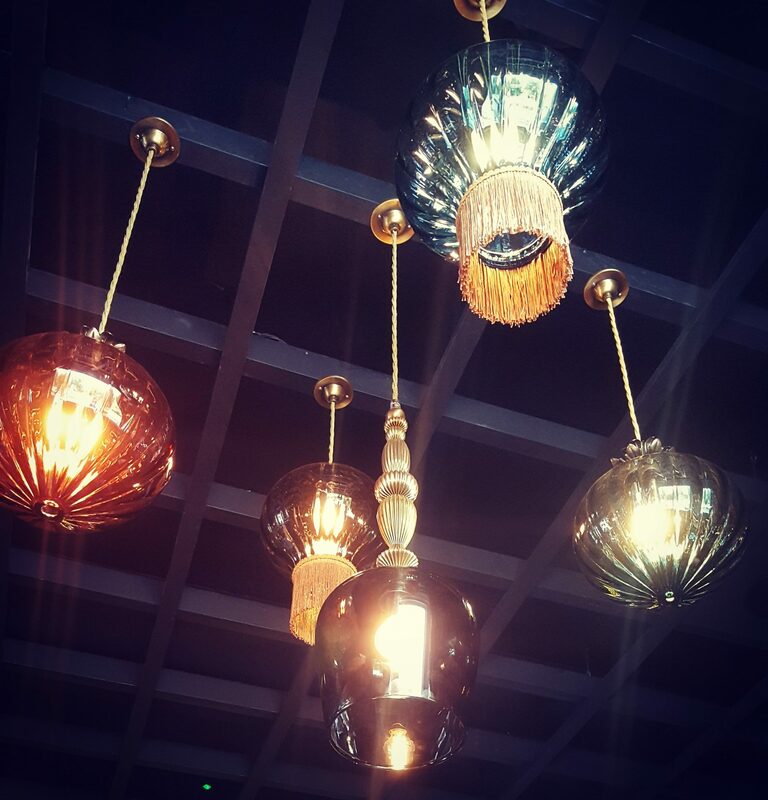 Rothschild specialise in hand blown glass lighting which means each piece is unique. 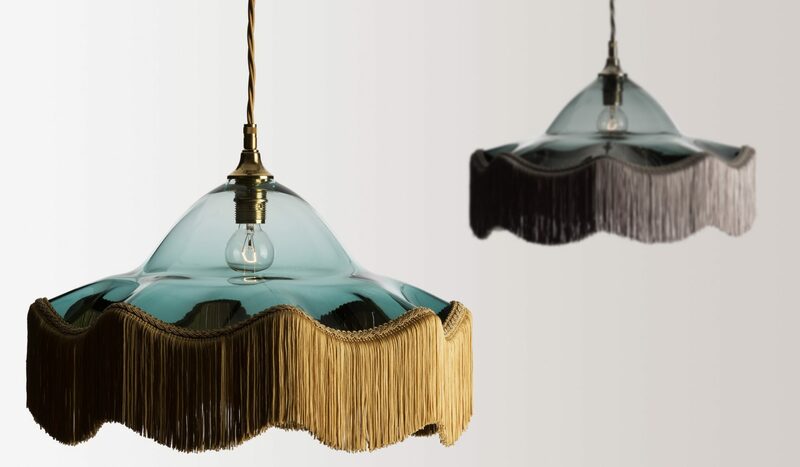 They customise their beautiful glass pendants with tassels (who doesn’t love a tassel?! ), fringing and coloured decorative cords and fixings. What I love about this company is that they still use the furnaces and wooden tools that were designed and used as far back as 50BC. Their master glass blowers, which it can take up to seven years to become, use classical skills and craftsmanship to create beautiful pieces. So whether you want to add a little something special to your kitchen interior, or go full throttle and add a feature glass ceiling it is definitely a material worth reflecting on.